These cases gives you the freedom to make your phone your constant companion – on your motorcycle or anywhere else! It has a full IP-68 rating against water and dust, and is designed to military specifications. The UltraFlat scratch resistant screen protector assures multitouch functionality. 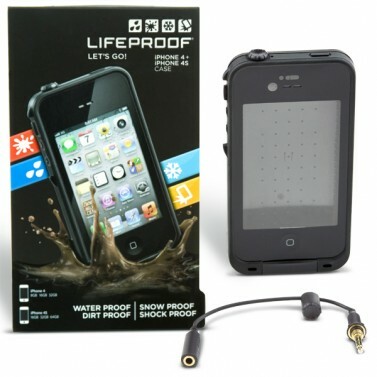 Optical glass anti-reflective lens maintains high quality images, while waterproof acoustic vents keeps the sound real. A gold-plated general use headphone adapter, headphone jack cover keeper, and cleaning cloth are included. Sized to fully enclose iPhone® 4/4S.